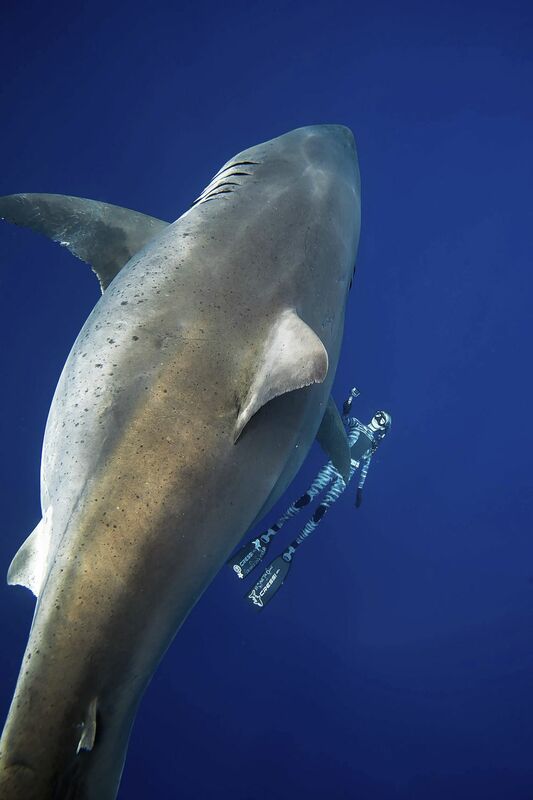 Ocean Ramsey, a shark researcher and conservationist, told The Associated Press that she encountered the 20-foot shark Tuesday near a dead sperm whale off Oahu. The Hawaii Department of Land and Natural Resources said the decomposing whale carcass had drifted to about eight miles south of Pearl Harbor after being towed 15 miles offshore days earlier. 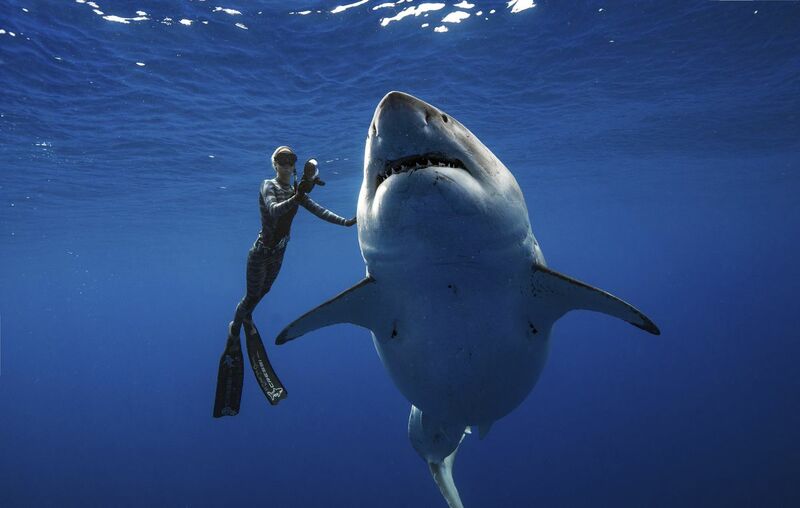 He also said it's impressive that the great white survived gill nets and other dangers he called a "gauntlet of human death traps."